Is it strange that i enjoy Flea Market more than going to the Malls? 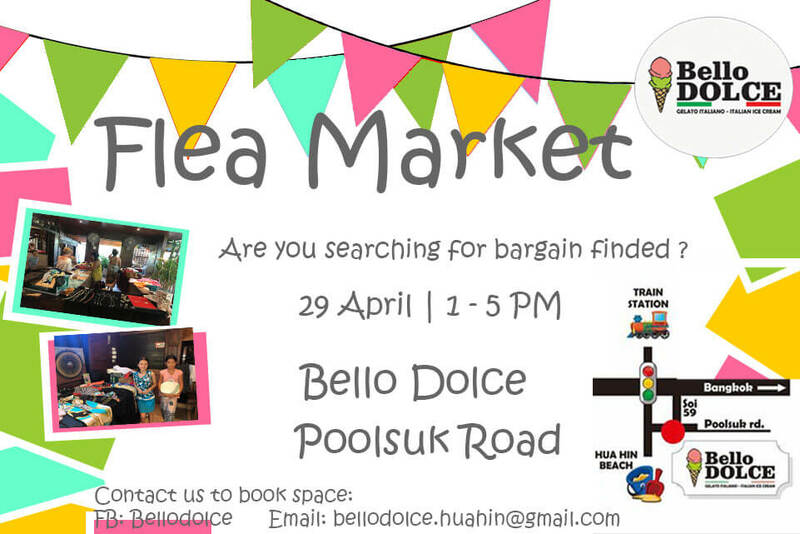 Bello Dolce is planning our first Flea market in our Poolsuk Branch on 29 April 2018. There are about 10 sellers will join us to sell goods and their beloved Items. More than that, there are 3 main Hua Hin Charity will join us to raise money. 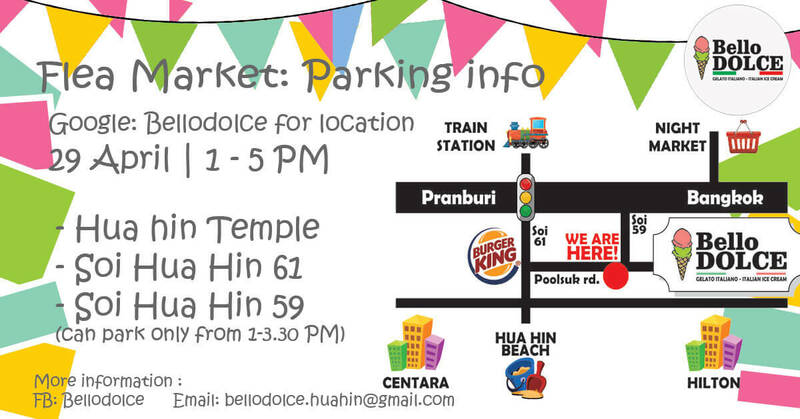 Bello Dolce first Flea market will be held in Poolsuk Road branch. Bello Dolce is located on Poolsuk road. Check our location in Bello dolce Pooksuk Page.